We'd like to let our current and future clients know that we have migrated to a completely in-home service. We hope that this transition will allow us to provide even better treatment and care to our clients. Please contact us today to schedule your exclusive in-home treatment. At Tamarindo Muscle Therapy, our mission is to help people heal and regain or maintain optimum muscle health and structural alignment. We have a team of the best neuromuscular therapists and massage therapists in the country that offer a variety of bodywork and massage techniques. We offer our professional services in the comfort of your own home, condo or hotel in the Tamarindo area, for a more tailored approach to each of our clients. For us, there is no such thing as a “cookie cutter” massage, everyone’s body and what it has been through is unique. Our job is to tailor every session to your needs and help your body heal in the most efficient way possible. See our menu for more details on the services we offer. We have had great success in rehabilitating knee injuries, carpel tunnel syndrome, lower back pain, sciatic pain, headaches, fibromyalgia, minor scoliosis, whiplash, thoracic outlet, golfers elbow and many other muscle related injuries. We firmly believe in preventative maintenance and help keep many active clients from ever having to experience athletic injuries. Come in for a tuneup to keep active, doing what you love! You deserve it! 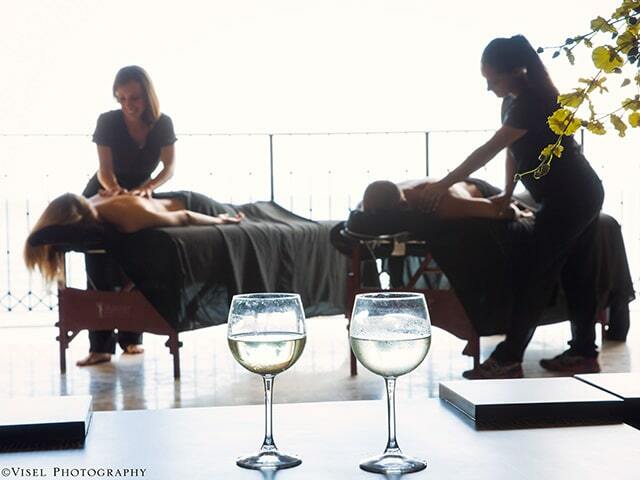 Lose yourself in an incredibly relaxing massage or aromatherapy session. Forget about everything else while we pamper you in every way. Founded on Koontzin Therapy. This is deep muscle therapy – not your typical “relaxing” massage. We will help you determine what is causing your pain or limitation and dig deep to fix the issue. This includes assisted stretching and other techniques. This can be painful during the session but results can be amazing. The focus here is strictly on the therapy without the typical massage. The ultimate relaxation massage. Relaxing essential oils, Swedish Massage, Trigger Point Therapy, Myofascial Release and mild stretching, all of which are tailored to your individual needs. The ultimate deep tissue massage. De-stress and detox with this rejuvenating full body treatment. Loosen and free up sore and tired muscles and release chronic muscle tension with this deep muscle approach. Our focus is on the deep layers of muscle tissue and fascia – the protective layer that surrounds muscles, bones, and joints. Si lo que buscas es relajación, este masaje es para ti. Olvídate del estrés, con este tratamiento disfrutarás una combinación de technicas relajantes incluyendo aromterapia, masaje suiza, estiramientos ligeros y otras, que se aplican de pies a cabeza. Disfrute este tratamiento rejuvenecedor, este masaje profundo ayuda a bajar los niveles de estrés, alivia tensión y dolor muscular, es la manera perfecta de empezar sus vacaciones. This treatment includes application of pressure to specific points and areas on the head, hands and feet to promote healing. Lymphatic Drainage Massage to encourage the natural drainage of the lymph, which carries waste products away from the tissues back to the appropriate organs so the body can filter and dispose of them. "Raquel/Sheela is a very talented massage therapist. I have had neck problems since I was a teenager & she is able to give me relief from pain. My husband has knee problems and she is the first person that has been able to help him with pain & range of motion. Her therapy is at times painful but the benefits afterwards are outstanding. I would and do recommend her!" Do you find yourself in pain without knowing how you got there? REPETITIVE STRAIN INJURY is a broad term for soft tissue damage that builds a little at a time; often almost imperceptibly. Repetitive tasks performed with poor posture or in an awkward position can tear muscle fibers. This can happen while driving, sitting at a desk typing, or even while out golfing. Our body responds by laying down scar tissue to patch the tear, and if we keep creating small amounts of damage the body will patch and re-patch the same area over and over. This creates restricted movement, tension on joints, and of course, pain. What can be done? At Tamarindo Muscle Therapy we are regularly helping patients recover from years of damage and muscle pain. If you are living with pain, or just want to get your golf swing back, give us a call for a free phone consultation to see how we can help you.